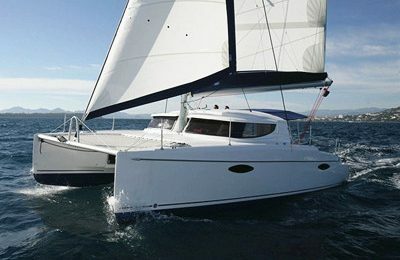 Welcome to double pleasure catamaran yacht charter out of Barcelona. Experience the city skyline from an ocean vantage . The most excited thing to do in Barcelona is to discover her beautiful coastline from the water. 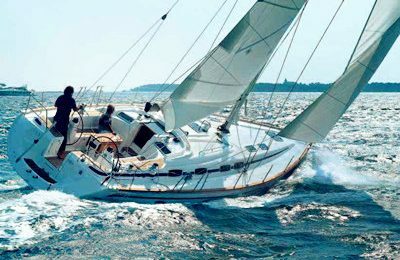 This 2005, 40′ catamaran yacht is from French yacht builder Nautitech, just renovated recently in 2015, so both exterior and interior are in great condition. You will have a partially open dinning area in the cockpit section, ideal for a cocktail party over the water. Inside the main salon, there is a gourmet kitchen and another sitting area. Relax on the huge trampoline at the front deck, and you are a few inches away to touch the Mediterranean water. Over look Barcelona from the sea, the sun is about to set over the hill, enjoy the breath taken view along with a glass of champagne, a gorgeous night in Barcelona is right ahead. 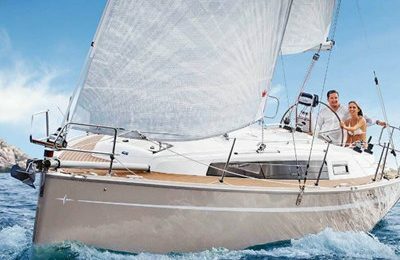 A 2005 40 feet ( 12.5 meters) Nautitech catamaran yacht,recently remodeled at 2015.